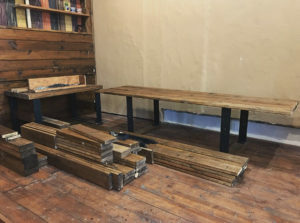 Now we are making a bench! Hello, there! It is me again! COM! Today is 21st January! Before our renewal is only TWO MONTHS left! 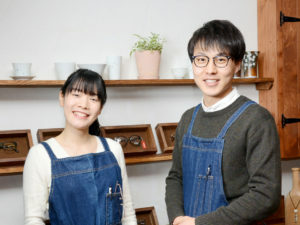 My partner KAKI is now going to SABAE City in Fukui Prefecture of Japan which is one of the largest manufacturing centers of eyeglass frames in Japan.And she is trying to look for some interesting goods that we want to put them in our shop for sale. I am so sure KAKI will find something new and bring them back! please check out our next update! So, today I decide to continue the renovation in the store by myself. I do not feel lonely at all, LOL (tears).